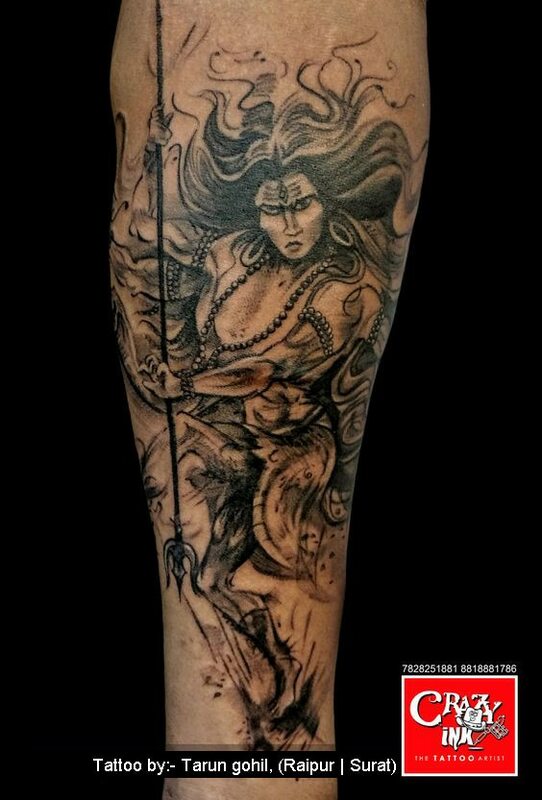 LORD SHIVA TANDAV TATTOO. Lord Shiva is the most powerful of the Hindu gods and goddesses. Known by the name Mahadeva meaning the Supreme God or God of Gods, Shiva is believed to be the creator, preserver and the destroyer. He is called by many names like Pashupati, Nataraja, Vishwanath, Shiv Shambhu, Bhole Nath, Bhairaava, Neel Kantha and more. Lord Shiva has a third eye on his forehead which symbolizes destruction when open. The holy river Ganga flows through his hair and he wears a snake around his neck. His weapon is Trishula and Damaru is his musical instrument. Being the supreme God, Shiva is the most favored among devotees and yogis. Millions of people across the world worship Lord Shiva with devotion. In order to reflect the spiritual belief, people go for Shiva tattoo designs and symbols on their bodies. Symbols like Trishul, the Third Eye and Cobra are inked on different parts of the body to represent Lord Shiva and get the power of the truly powerful deity flowing through oneself. Youngsters, both boys and girls, like to get the spiritual faith engraved in the form of Shiva tattoo. LORD SHIVA TATTOO, MAHADEV TATTOO, MAHAKAAL TATTOO, LORD SHIVA TANDAV TATTOO, TRISHUL TATTOO, DAMRU TATTOO, CUSTOM SHIVA TATTOO, MEN TATTOO, SURAT TATTOO ARTIST, SURAT TATTOO, RIAPUR TATTOO ARTIST. 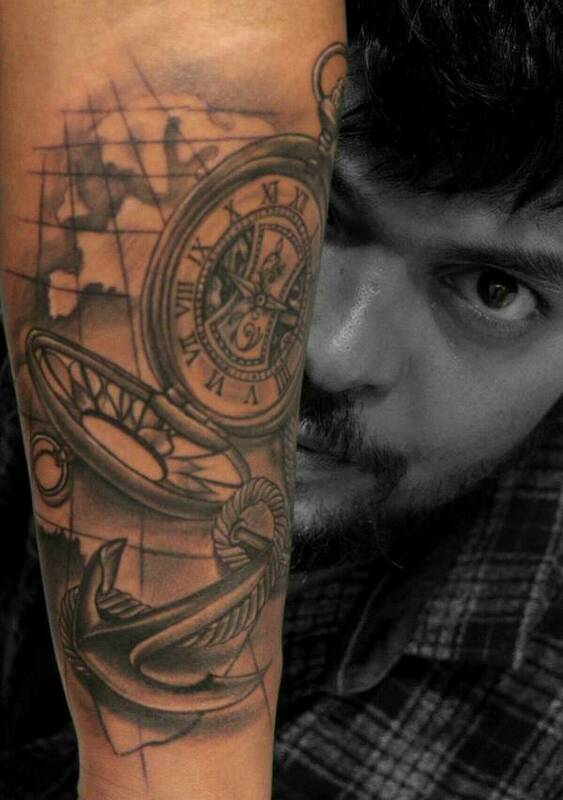 RAIPUR TATTOO.